Furniture Row Racing entered NASCAR in 2005 with Kenny Wallace. 13 years later, the team was built to championship form. They took the Monster Energy NASCAR Cup Series title in dominating fashion in 2017. For 2019, the team will be absent from the grid. Martin Truex Jr has moved over to Joe Gibbs Racing as Furniture Row Racing is closing their doors. Now, Visser is donating equipment to a charitable cause. First, I want to express a sincere thank you for the passionate support given to Furniture Row Racing during our storied career in NASCAR. It was an incredible ride and we are proud to be known as a NASCAR Cup Series champion. Along with the enjoyment of being a competitive team on the racetrack, we also enjoyed a great deal of satisfaction partnering with renowned Denver-based neurosurgeon, Dr. Scott Falci, and his adaptive motorsports program. The Falci Adaptive Biosystems Program and its cutting-edge technology is designed to bring mobility to paraplegic, quadriplegic and disabled individuals. 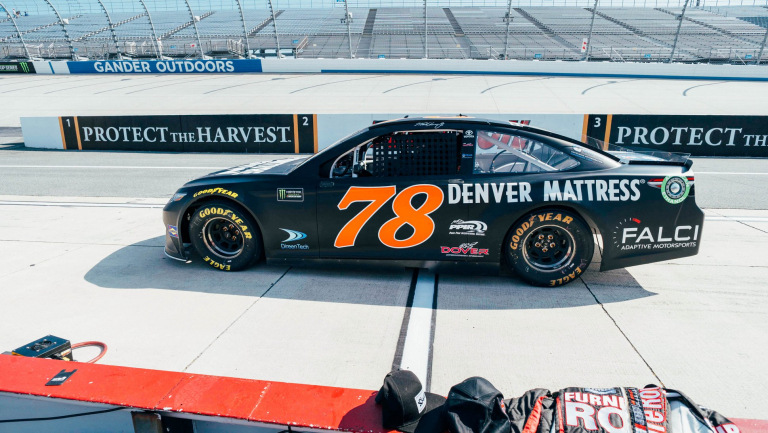 Furniture Row Racing, Furniture Row and Denver Mattress provided the adaptive Toyota race car the past four years. Dr. Falci and his team built and installed the highly-sophisticated technological components that allow the spinal cord injured to drive the race car with its’ special hand controls linked to the accelerator and braking. In addition to the hand controls the car can be driven hands and foot free, with technology that allows movement of the occupant’s head to be detected and input into the vehicles steering, accelerator, and brake systems. While the race car will continue to be provided by Furniture Row and Denver Mattress, I will not be personally involved. I am proud to announce that this inspirational program will have more assets to expand under the executive leadership of Joe Garone, who was the architect of building Furniture Row Racing to a championship level as the team’s president. Joe will work with Charlotte-based Spire Sports & Entertainment and Dr. Falci to grow the program’s fundraising and awareness efforts. Joe and Spire are currently seeking sponsorship for a number of special events to showcase the adaptive race car technology prior to a NASCAR Cup Series weekend. The events will include spinal cord injured individuals driving the adaptive car along with a NASCAR Cup Series driver, who will offer assistance and advice plus give a thrilling, high-speed ride to the participants. For a better understanding of an adaptive motorsports event please see video below, which includes former NHRA champion Darrell Gwynn driving the adaptive race car with only head movements.